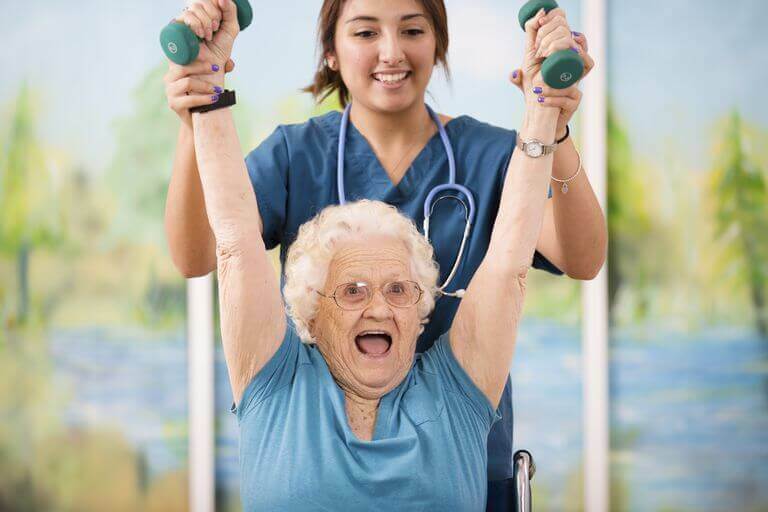 The main purpose of physical therapy is to improve the quality of your daily life. Physical therapists are trained movement experts who improve the quality of life through prescribed exercise, hands-on care, and patient education. Our physical therapist helps reduce pain, restore function, improve mobility, build strength, avoid surgery, and prevent the overuse of opioids. Pain-free movement is crucial to your quality of life, your ability to earn a living, and your independence. Physical therapists do a lot more than just stretch or strengthen weak muscles after an injury or surgery. Our physical therapist in Logan talks to each patient and evaluates their condition by testing joint motion, muscle strength, cardiovascular function, reflexes, and functional skills. After the necessary information is gathered, the physical therapist designs a treatment plan that will fit the patient’s needs and goals. The exercises in each individualized physical therapy treatment are intended to increase movement, flexibility, strength, and endurance. Physical therapists empower people to be active participants in their own treatment. manual therapy, ice and heat application, electrical stimulation, therapeutic massage, and patient education. Physical therapy tends to only be a few hours every week. So, in order to create long-term solutions, our physical therapist will educate the patient about the underlying cause of their issue and help them change their everyday movement patterns. Stretching is one of the manual techniques frequently used and physical manipulation works to reduce muscle spasms. This allows contracted muscles to lengthen and allows the affected muscles to move back into normal position. Therapeutic exercises are the bread and butter for our physical therapist and your treatment. When joints, connective tissues, and muscles have been pushed beyond their limit (even torn or broken) almost nothing heals them faster than progressive range-of-motion and strengthening exercises. Our physical therapist will often use therapeutic massage to reduce scar tissue and to help your tendons and muscles to relax. A physical therapist is a health care professional with the goal of restoring your physical ability and restoring your independence. Joints are assessed for strength, alignment, and balance. Physical therapists teach you how to move better when walking, running, and climbing stairs. They can even teach you how to better stand and use proper posture. There’s no reason to not consider physical therapy if you find yourself in pain and/or with any limited mobility.